Back by unpopular (and narrow) demand: "We Want Willkie!" Really? In 2016? You have got to be kidding! With all the losers that some backstairs heavy-hitters in the Republican Party have managed to present to us as presidential material over the years, establishment Republicans still presume the credentials to name the party's next presidential nominee. Let us assume they mean well. And while in the end we like to remind ourselves that hopefully we are, after all, "on the same team," some of their ideas cannot go unchallenged. We have been there before. The small group of people who assume the right to pick the party's nominees have a batting average that no one can envy. Take a recent argument made by one of their operatives. Writing in the Wall Street Journal, Republican strategist David Avella notes the growing claim that primary voters "are finally done nominating traditional candidates who have government experience." Nonetheless, "That is probably not true," Mr. Avella opines. No? Well, as the cliché has it, "Let's look at the record." In the most recent presidential elections, establishment candidates have not been able to garner a winning popular vote in five out of six cycles. Today, right on schedule, carrying on a time-honored tradition of four generations, the GOP establishment is back at its familiar scheme of giving short shrift to "outsiders" (i.e. candidates who are conservative or backed by conservatives) for not being "moderate" enough, not sufficiently adept at aping the Democrats. From among the 15, 16, or 17 vying for the nomination (depending on which ones have dropped out or are about to call it quits) today's GOP establishment is very fearful that any one of three 2016 contenders in particular (Carson, Fiorina, or Trump) might be nominated by the Republican primary voters. What the three have in common is a lack of prior experience in elective public office. Further, they lean too heavily toward "social issues" than the backstairs power-brokers wish to emphasize. The claimed result? There goes the middle class. But, hey, if all else fails, there's always money, right? Prior experience is and should be one factor in making this all-important decision on a candidate. But it is by no means the only one. Experienced candidates themselves are not necessarily bereft of gaffes and dumb mistakes. Doesn't matter. The upstarts are "outsiders." And for this job, only "insiders" willing to play on the Democrat court need apply. Republicans control both houses of Congress, but they say in effect that's not good enough to accomplish anything. In 1940, the galleries at the Republican National Convention in Philadelphia were filled with young lawyers, many of them (including my father) former Democrats. 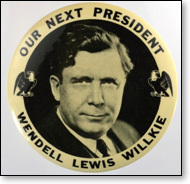 Their persistent and loud demands overwhelmed the convention, effectively persuading the Republican delegates to nominate a "dark horse" Wendell Willkie. 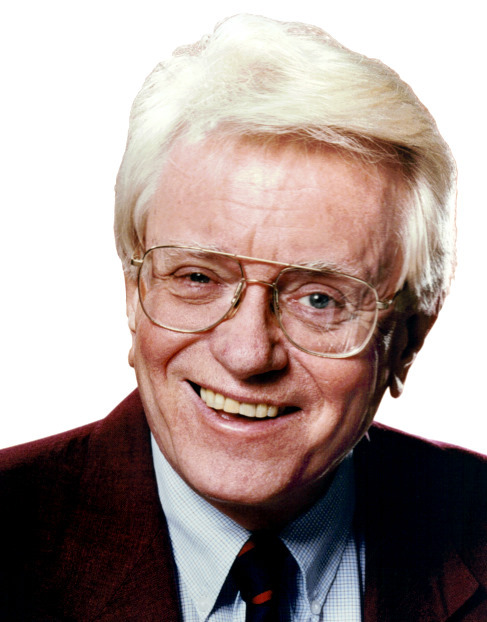 In that pre-television era, the surprise factor was mistakenly believed by the vast radio audience at home to be the voice of the public. More importantly, that was the impression left with the delegates right there on the convention floor. They were bombarded with unceasing gallery cries of "We want Willkie! We want Willkie!" A genuine popular groundswell? Not at all. It was well-organized and not spontaneous. The gallery demonstrators – orderly but unappeasable – drove home the message: the Republican Party's only hope was to nominate Wendell Willkie, a long-time Democrat, dubbed "the barefoot boy from Wall Street," and by the way, a supporter of most provisions of FDR's New Deal. The first chapter in the long 20th century mantra: Copy the Democrats. Ever since then, the "establishment" wing of the GOP has turned (or tried to turn) aside true solid conservatives, in favor of a string of losers. The pattern has followed in one form or another for decades. From President Willkie to President Dewey to a real (by inheritance) President Ford, who couldn't win an election in part because Americans deemed him clueless for saying the Polish people under the boot of the Soviets were, after all, not really living in a Communist country. That, mind you, from the president backed by the all-wise "experienced" infallibles. It was Ford who tried to foist upon the country Nelson Rockefeller. Even the GOP establishment wouldn't allow that. The Rockefeller name did not exactly resonate with Midwestern conservatives who were already unhappy that Mr. Ford had appointed the former New York governor as his vice-president. So Rocky was dumped, and Ford lost anyway. In more recent years, there have been Presidents Dole, McCain, and Romney, all moderates favored by the establishment. And let's not forget Bush '41, the first Republican president since Hoover to fail re-election to a second term. What about Eisenhower? He was a "moderate." Yes, and also a war hero. He couldn't have lost. Nixon? No conservative, but trusted by many party conservatives for his take-down of Alger Hiss. And when Watergate happened, the bipartisan establishment didn't wait to pounce. Of course, we did have a chance to elect Barry Goldwater. The problem there was Goldwater, a true conservative icon, nonetheless did not really want the job, and it showed. But on the ashes of that campaign came the build-up of a conservative movement that led 16 years later to the winning candidacy of Ronald Reagan. 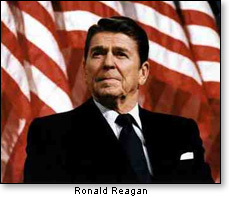 Ronald Reagan was arguably the most successful president of the 20th century. But during his nomination candidacy and even during his eight years in the White House, he still had to fight the steadfast, though largely hidden from public view, "moderate" wing of the Republican Party. Establishment types were able to get Bush people into some key positions in the White House in greater numbers than is normal for a vice-president. Reagan persevered against aides who tried to steer him away from policies he was determined to implement. The president "stayed the course" he wished to pursue. America's 40th president pursued policies that gave us many "fat years" in the economy – and on several fronts, cleverly pursued international policies that brought down the "Evil Empire" of the Soviet Union. So to boil it all down: one can appreciate that those forces today trying to sell us on a dependable "moderate" are not per se "bad people." They are just wrong. Wrong! Wrong! Wrong! Look at it this way: They keep up the steady drumbeat warning that we must nominate compromisers (the Chamber of Commerce wants to spend millions to "defeat conservatives" in America's conservative party(!) lest those "terrible" conservatives cause the party to lose elections. Oh! Then you mean we won't have any would-be President Doles, McCains, or Romneys? Promise? Then when we finally get a full no-pale-pastels conservative for President, those same "moderates" will undermine him throughout his two terms in the White House. So this column asks: Can those people be trusted to call the shots for us in 2016? And this time, we may not have time to build a push-back (or another 16 years like the gap between Goldwater and Reagan) and have a country still standing. Something to think about?